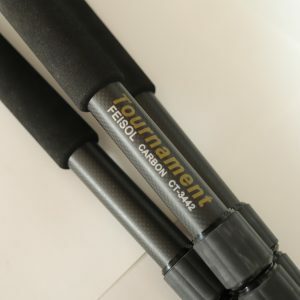 The Feisol CT-3442 Tournament is one of the more unique tripods on the market. It is very lightweight, but lacks a center column and employs the platform style construction of the spider we typically only see on the heavier systematic studio tripods. It also uses an uncommon leg angle of only 20 degrees, which makes the tripod quite tall for its weight. If it tests well, this could be one of the finest travel tripods available. The most outstanding aspect of this tripod is its excellent height to weight ratio. This is one of the few lightweight travel tripods that is capable of getting a camera up to eye level for most people without having to extend a wobbly center column. The CT-3442 is distinctly lacking in features, and frankly, I love it that way. There is no weight, size, or stability penalty on this tripod for all sorts of things I will never use. If you want a center column though, Feisol is happy to sell you a compatible one for relatively low cost. Perfect. The tripod would be better if the feet were replaceable. Different types of feet can make a big difference depending on conditions. The CT-3442 handles very well. The twist locks on the legs are fast and easy to operate. They are slightly longer than most tripods, which makes it more difficult to grab all three locks at once to open them. The leg angle selectors are a true highlight. 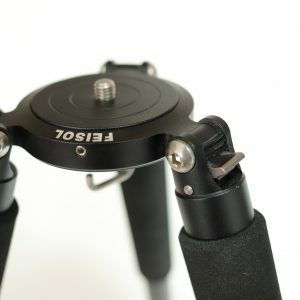 Unlike most tripods, that require a tab to pulled out, and then pushed back in, the Feisol employs levers that can easily be disengaged with a simple press of the thumb. This makes it much faster and easier to adjust the leg angles. If you do a lot of shooting at low angles or in awkward spots, this will be a huge boon. My one gripe about the handling is that the legs do not have a stop when folding the tripod back up. A leg can be folded back past vertical, requiring some readjustment to get all three legs properly positioned for travel and storage. It is a minor annoyance that costs me a couple seconds every time I fold the tripod up. The shallow leg angle makes for a tripod that feels tippy compared to most others. You feel nervous about bumping into it, or leaving it unattended in windy conditions. I would highly recommend hanging weights with a bungee cord off of the hook to lower the center of gravity. These are generally good test results except for the metric that translates the most to stability, the axial stiffness (horizontal camera movements). Here, the performance is merely okay and this lack of stiffness can easily be noticed while handling a camera on top of the tripod. 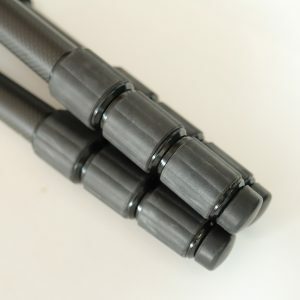 The axial stiffness is on par with what we expect from low end carbon fiber tripods. The Feisol though is much lighter and generally taller than those tripods so still performs well on weight and height adjusted metrics. The radial stiffness is actually much better than we expect given then axial stiffness. This is almost certainly a result of the narrow leg angle. The Feisol CT-3442 Tournament is a brilliant tripod, with a single significant weakness. The primary metric for stability, the axial rotation stiffness, is no better than what you would expect from a low end tripod. I don’t know exactly where the weak link is, but the shallow leg angle is suspicious culprit. Even given the weak performance from axial stiffness, the tripod performs well on weight and height adjusted metrics; the rest of the design is still strong. I would love to see what a version of this tripod with more standard leg angles could do. 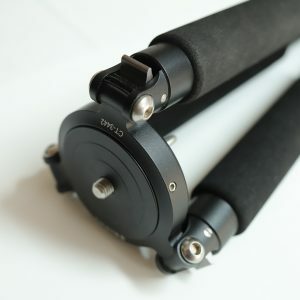 This tripod for you if you are looking for a well built, lightweight tripod that can get the camera up around eye level. Also, you don’t shoot with particularly long lenses or in windy conditions that necessitate good axial stiffness.